Use the form below to send us an e-mail which will receive the quickest response to any inquiry. Enter your comments below and click the submit button when finished. Have images or photos you need to send us? You can use the e-mail program of your choice to reach us at . Website problems or suggestions: e-mail . You can also call via phone, but due to the activity level in our busy shop, you may have to leave a message. Phone info: 715-342-0300, 715-342-0301 (fax). Reach us toll free at 1-866-599-RACE (x7223). Please leave a message if you do not receive an answer and we will return your call. For a quicker response, please send an e-mail as indicated above. 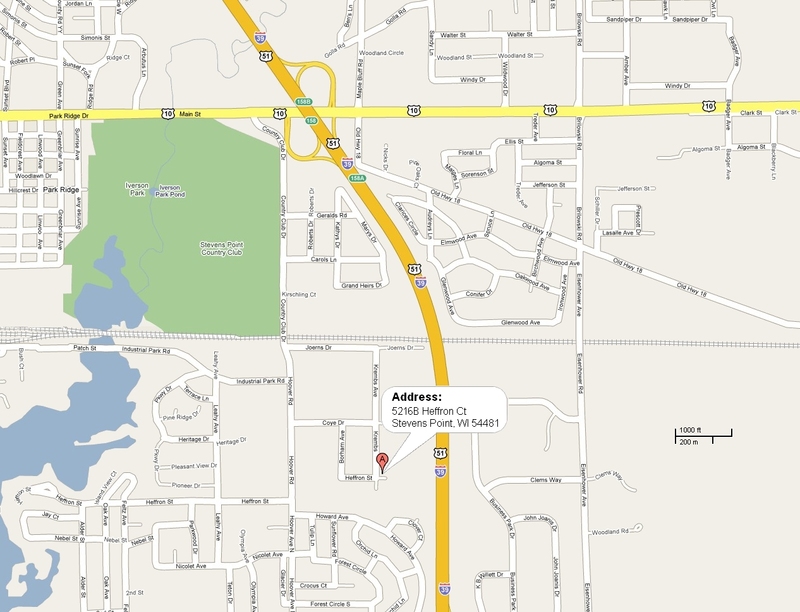 Furo Racecraft is located at 5216B Heffron Court, Unit #3, in the Industrial Business Park in Stevens Point, Wisconsin. For a larger high-resolution map of our location and the surrounding area, click HERE.